1 month already!! Time has flown by and has been great. I am really enjoying having the Summer off with my family and getting to know our little lady. With 4 weeks left in my leave I am savoring every moment. 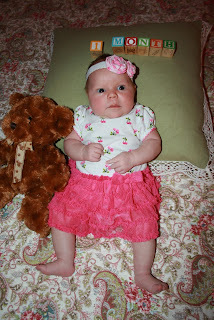 I am not sure what I want to do on the blog for updates for her, afterall this is a Running Blog. Will see?? I have my 5 week checkup next week, hoping the Dr. will clear me to run, I have tried a little and felt great other than needing more support. I had tried to get weekly photos but now am hopeful for good 1 month photos, below is my first attempt. I plan to always have the pillow, bear and block in the photo which will really show her growth. 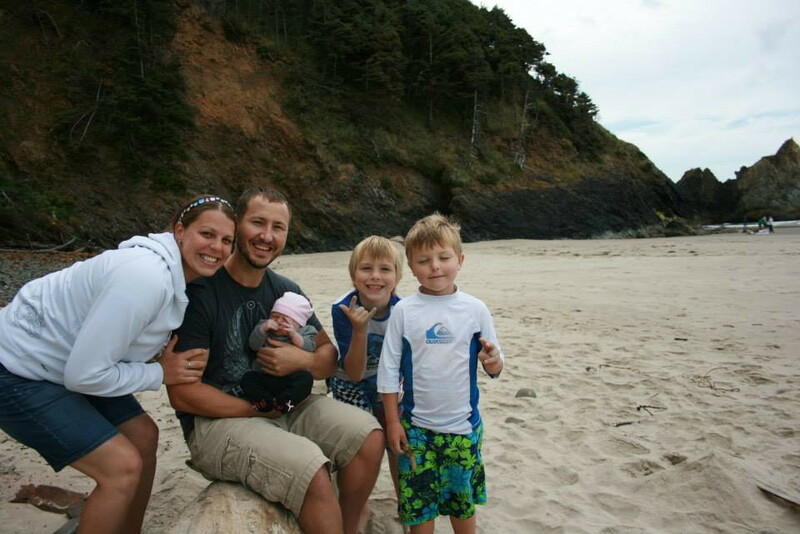 Special Moments: We went on a family vacation to Lincoln City Oregon, it was awesome. Baby slept for most of the beach trips and was a good girl overall. Travelling with an infant is hard but we made the best of it. I did not eat as well as I hoped but thankful for nursing I didn't gain any weight!! 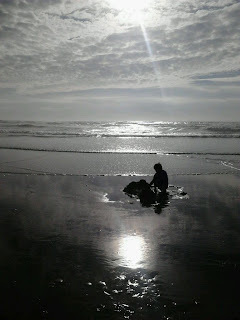 It was great to relax and watch the boys explore and play. I did not want having a baby to impact the boys summer, and this trip was key to the fun factor. Notable Accomplishments: SMILES!! This little lady is already starting to smile, which is amazing. She smiles more for Muscle Man, she seems to only think about food when I talk. She tracks with her eyes and makes great eye contact. She loves to play with her brother on the activity mat. LOVES her carseat which served us well when stuck in traffic on our way home 5+ hour trip! 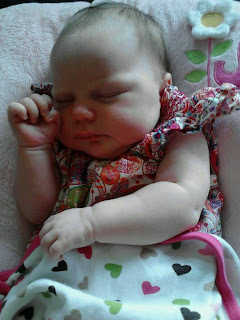 Sleep: We have been working on a good schedule for her, although vacation messed with it a bit. We have found that if we keep her up from 5pm on she sleeps best, as a general rule no naps longer than 20minutes in the evening. She likes to go down about 10PM, up around 2:30AM for a quick diaper and to eat, up again about 6:00AM, and up for the day about 8:30 or 9:00AM. I am guessing that I will be able to reduce the feedings soon and maybe go down to once a night. Either way I am HAPPY! Our Little Studs were up every 2 hours for a long time....so having her quick turn and back to bed is AMAZING! 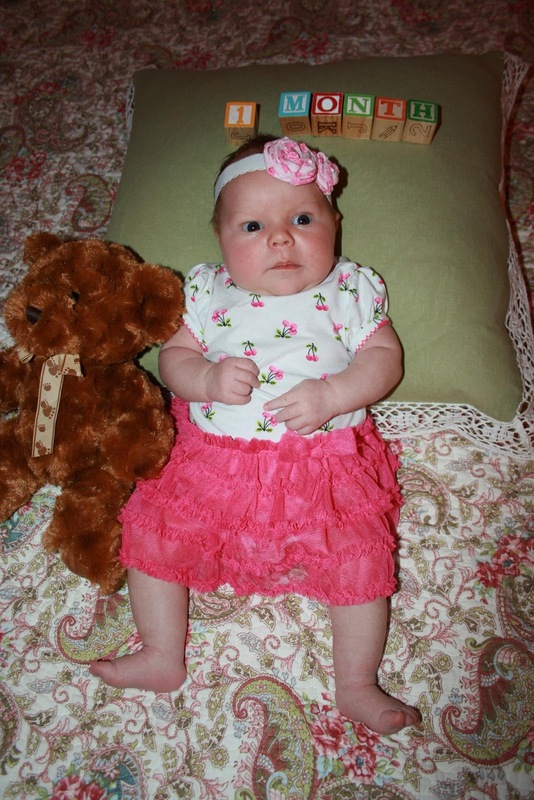 It is going to be tough when I have to put her in her crib, for now bassinet is great. 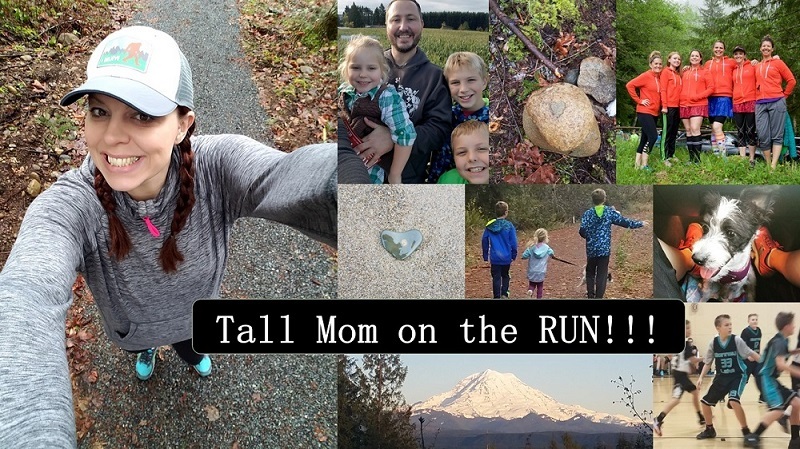 Mom's Recovery: 7 pounds to pre-baby weight!! I feel like my loose belly skin is showing more these days but that could have been from poor diet on vacation. My clothes almost fit but are tight in the thighs and waist. I purchased a couple pair of $19 jeans at Old Navy to hold me over until I can run my thighs back into shape. Other than slight back pain and headaches (dehydration from breast feeding??) I have been GREAT! Dr. apt next week will tell us for sure. Muscle Man is looking forward to having his running partner back, although we don't yet have a plan for carting 3 kiddos on the run. There you have it. 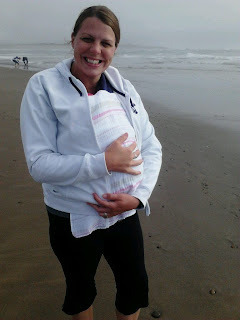 I HOPE that my next post will be about my first run post baby and an update on races I have registered for. Congratulations! Your baby girl is beautiful, and I'm glad you got in a family vacation at the beach. Hope you can run again soon. So cute! I miss my girls being that size. Congratulations! She is beautiful! Enjoy! And great job postpartum. I hope you can squeeze that run in! Having a healthy baby is really a sweet and most unforgettable moment of a married couple life. They wait for their baby for ten months and they try their best to take care of their baby. But some time we found many babies with different syndromes.